Hi again! I hope you had a wonderful Christmas and it was filled with all your special loved ones. I was very unwell this year and had to spend it in bed (no - it wasn't a hangover!) so my parents and I are re-doing the day on Sunday (including a full Christmas dinner! Mmm.) 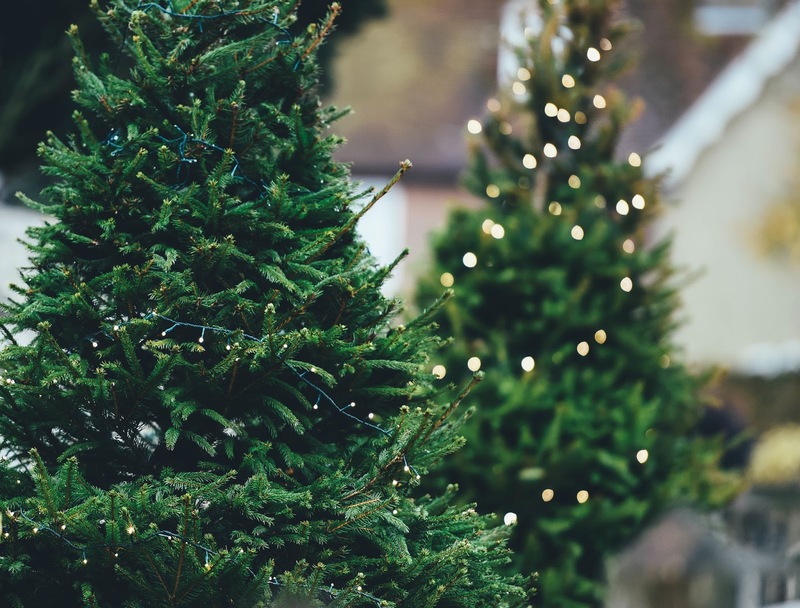 Every year that I get older I feel like the magic of Christmas is lessened, which is really sad as I absolutely love the holiday season especially now that I'm at a university really far away from home and I don't get to see my family all that often. 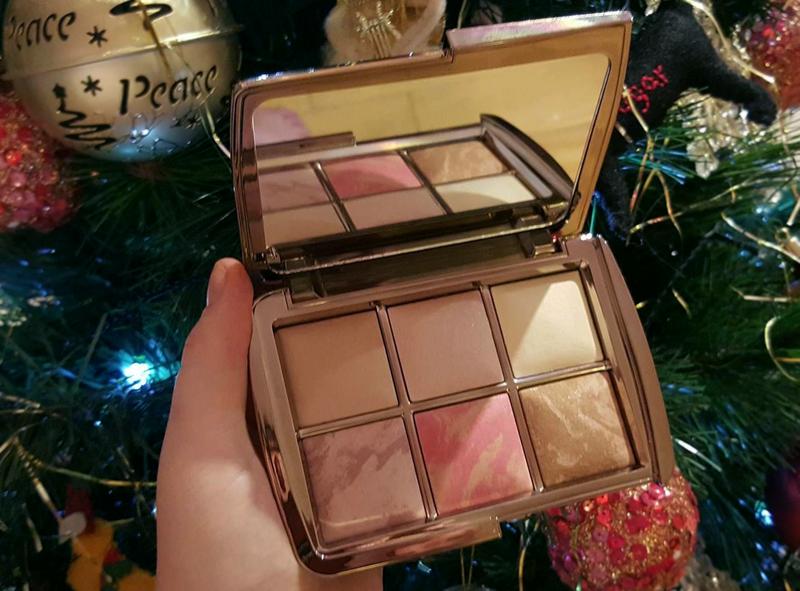 My favourite type of blog posts to read around this time are the 'What I Got For Christmas' ones and now that I have aly-space I really wanted to make one too. 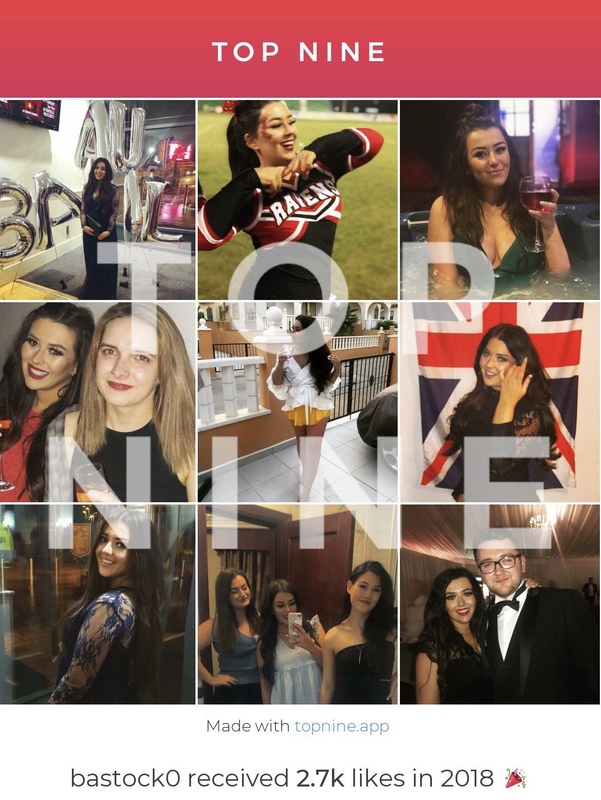 I know these aren't always everyone's favourites as they can seem like the poster is bragging but I'm honestly just extremely grateful for everything I received this year and wanted to share some bits with other nosey people like me. I know this may seem like a lot but bare in mind I'm an only child and my parents just enjoy spoiling me as we only get to see each other once every few months during term time. How cute is the colour of this Michael Kors bag???! I am obsessed with the colour pink (as you may be able to tell from the next few items) and this handbag is just stunning. It was a complete surprise from my parents, I'd guessed a few other bits but never thought they would buy me something like this but I'm so glad they did! So yet another pink item (I told you I liked the colour pink.) 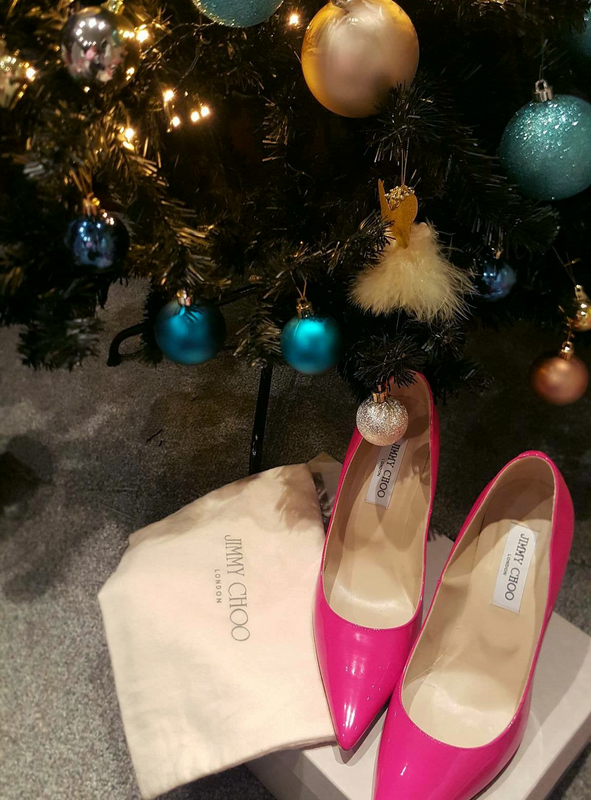 About six months ago my mum bought these Jimmy Choos and I just fell completely head-over-heels (ha, get it?) in love with them. I've been jokingly nagging her for ages about when she was going to pass them down to me and that if she didn't want them any more I would happily take them off her hands. 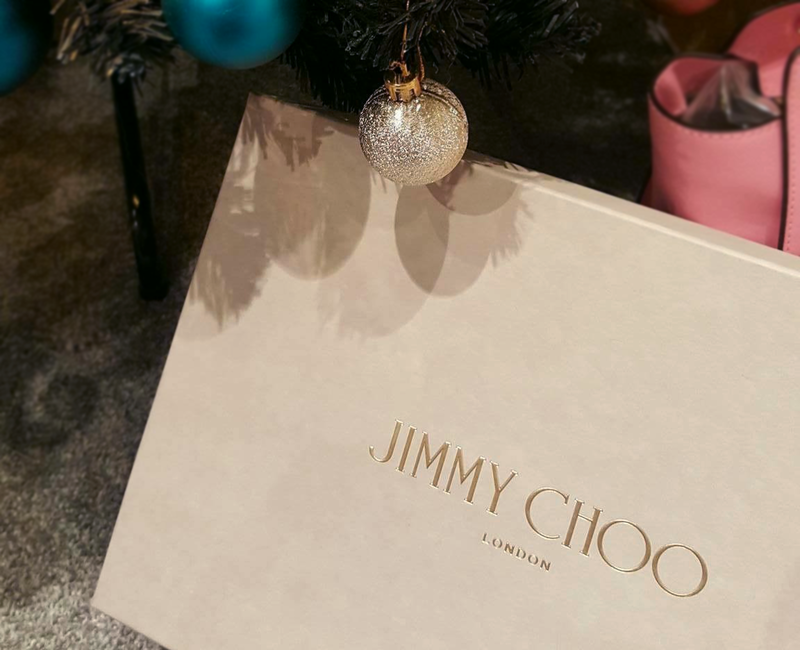 I had a slight inkling that I was getting these this Christmas, especially as when I brought a different pair of Jimmy's home and said to my boyfriend, "have you seen my new Jimmy Choos?" he replied with, "What? You've got them already?" But even if they were a surprise or not, they're beautiful shoes and fit perfectly - I'm so glad I finally have these in my little shoe collection!! 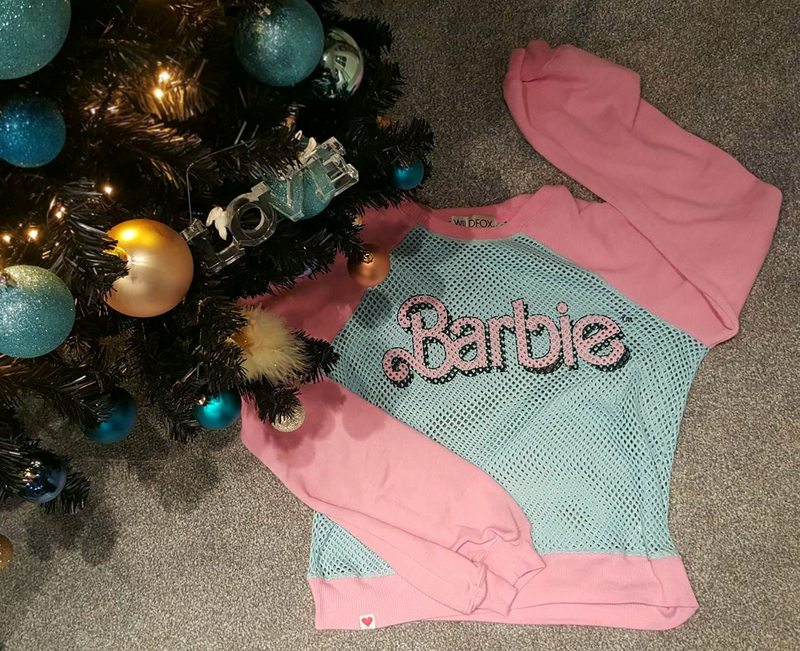 I have wanted this Wildfox jumper from their Barbie collection for well over a year now. I think it was like two days before last Christmas I made a tweet about it and my mum saw it, she told me just after Christmas that she'd seen my tweet and wanted to get it for me but the only place she could buy it was in America and it wouldn't have arrived in time. I had completely forgotten about it until I opened it on Christmas morning and I fell instantly back in love with it. The colours are so me and the Barbie logo sums me up perfectly. I'm not going to go into too much detail on each of these palettes as I'm planning on doing separate reviews later but all of these palettes are ones I've been after FOREVER. As soon as each of these were released I just wanted my hands on them but I never got around to making purchases so I asked for them as Christmas presents instead. 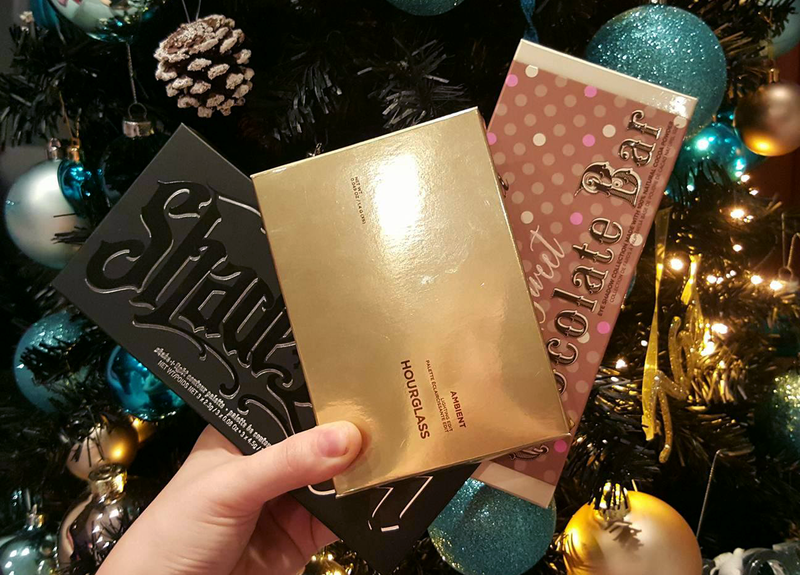 The Shade and Light palette by Kat Von D was a gift off my parents and then the Too Faced Semi-Sweet Chocolate Bar and the Hourglass Ambient Lighting Edit palettes were both gifts off of my wonderful boyfriend. 1) A new travel tangle teaser: I don't use proper brushes any more and I find tangle teasers are the best things for extensions so now I have a new one that I can pop in my handbag! 2) Soap and Glory 'Orangegasm' body polish: How did Franks know this is my favourite Soap and Glory scent? I haven't tried the body polish before but I love anything that smells like oranges. 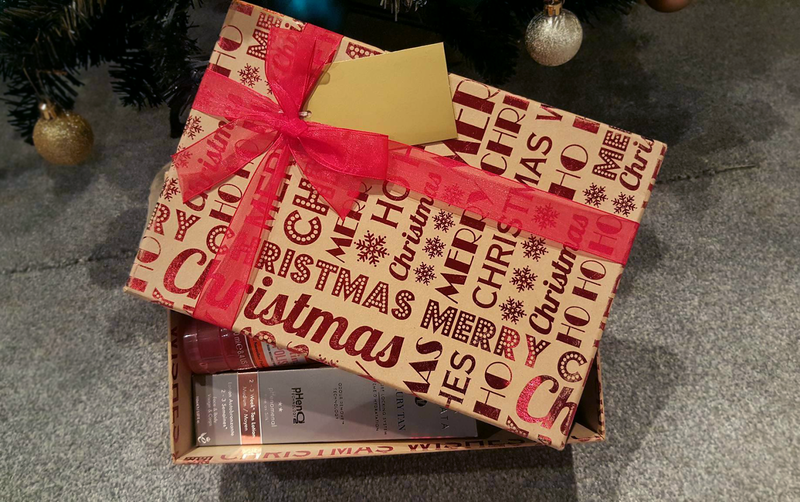 3) Vita Liberata fake tan and new tanning mitt: This is the best tan in the WORLD but it's far too expensive for me on a student budget - now I'm topped up for when I go back to university! 4) Bumble and Bumble gift set: This includes a shampoo, conditioner and my holy grail hair primer and heat protect spray. It's funny because on Christmas Eve I nearly ordered a new bottle of the protectant spray myself. 5) £30 Amazon gift card: Self-explanatory but yaaas, so useful! I had tonnes and tonnes of other wonderful gifts, including a River Island coat (that I chose but still, it's beautiful), a personalised basket full of my favourite sweets and good stuff, the usual underwear and pjs that everyone gets at Christmas, a new Miss Dior perfume (another favourite), a Daisy by Marc Jacobs gift set, a safety chain for my Pandora bracelet (because apparently I can't be trusted not to lose it! ), a really pretty little rose gold ring with a tiny diamond on top, and then loads of other bits and bobs! I'd love to share everything but I think if I continue this post will never end, so to sum up my favourites were definitely the bags or the shoes. 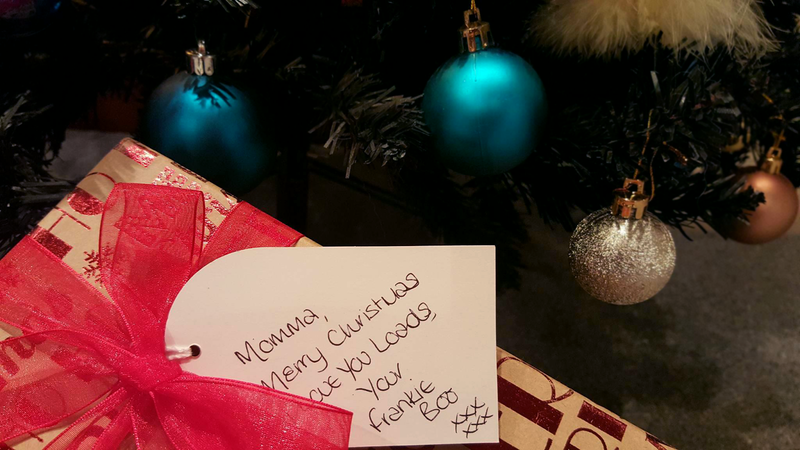 What was your favourite gift this Christmas? Wow, you got some amazing pressies! Those palettes have been on my wishlist for some time now! That Michael Kors bag looks awesome! You got some amazing stuff! 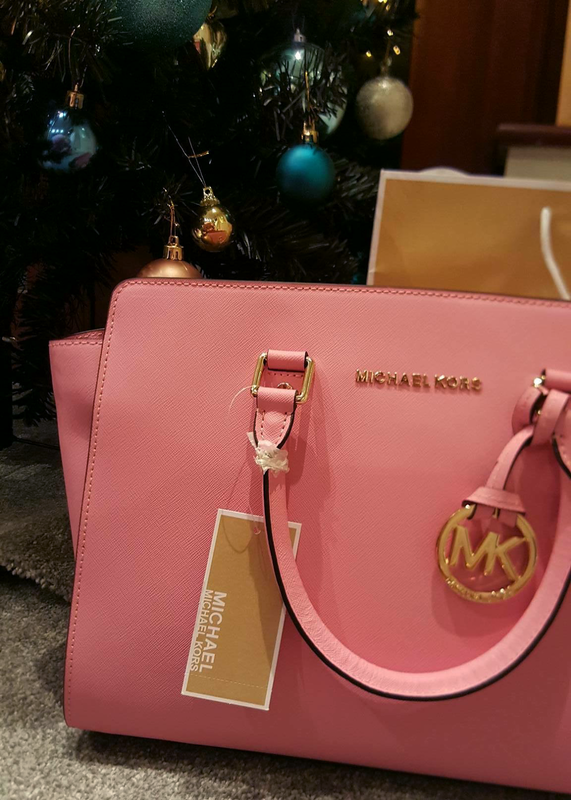 I love the MK bag and Barbie jumper, i'm pink obsessed too haha. That Vivienne Westwood clutch though!? :O Its beautiful!! 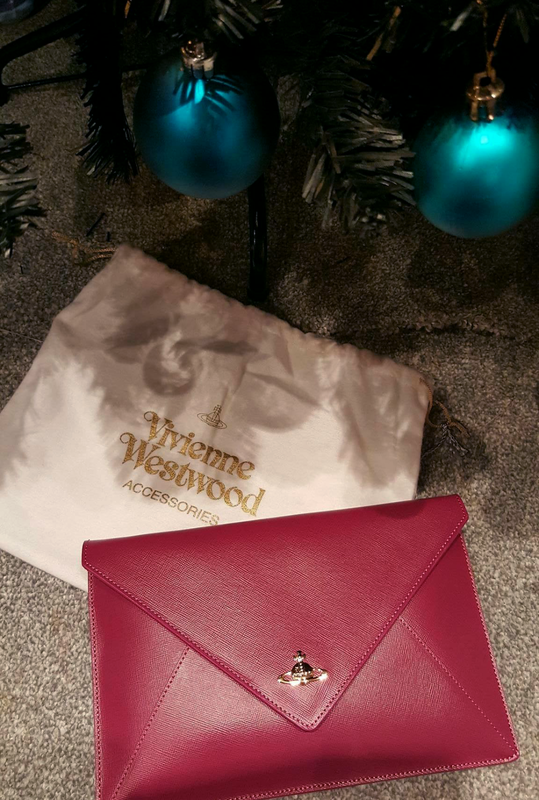 I adore the brand, Ive got a purse which has lasted me for 2 years and still in perfect condition!